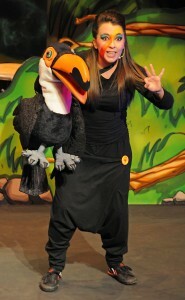 Banjoko is actually a Toucan from South America. Having flown with her parents across the Ocean they settled down in Africa waiting for the great storm to pass but when it came to flying home they couldn’t find their way back. So that Banjoko would fit in with the rest of the birds in Africa they told her she was an African Barbet and brought her up in South Africa, but she always knew she was different from the rest. 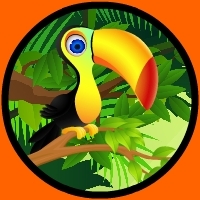 In search of other Toucan’s for most of her life, Banjoko is well travelled and has become extremely clever and wise through meeting so many Animals along the way.